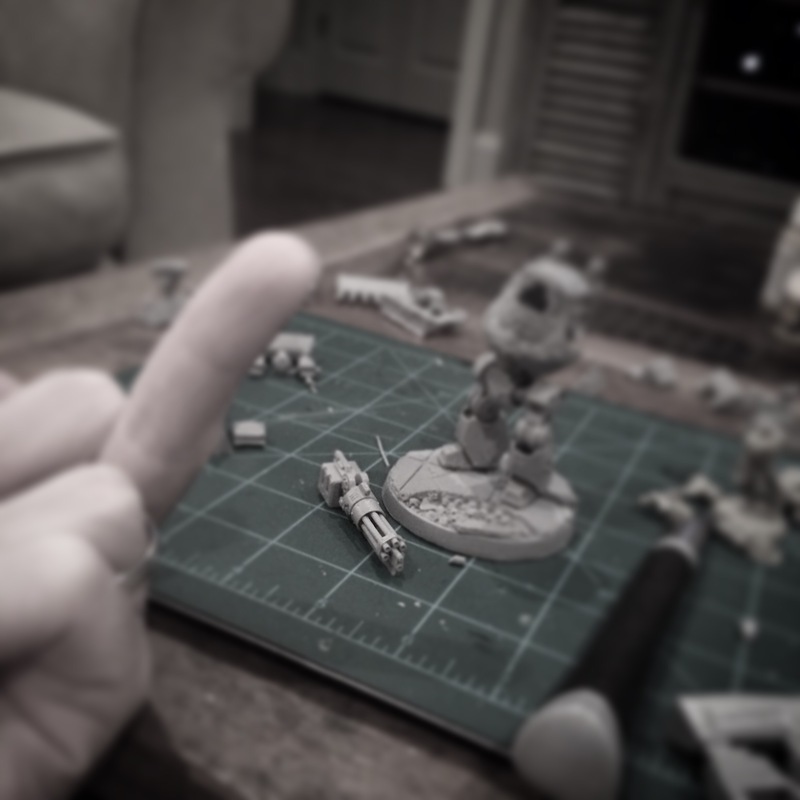 So I haven’t played loyalist marines in well over a decade (almost two!). 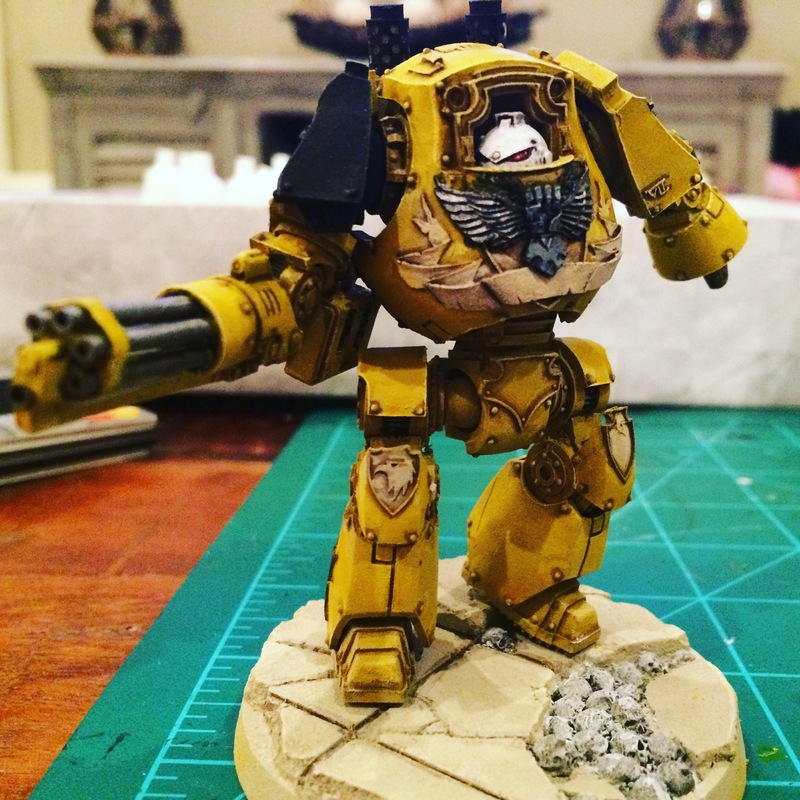 With my new army, I decided I’d get right into it with building and painting the model that prompted its creation – the Imperial Fists Contemptor Dreadnought from Forge World! 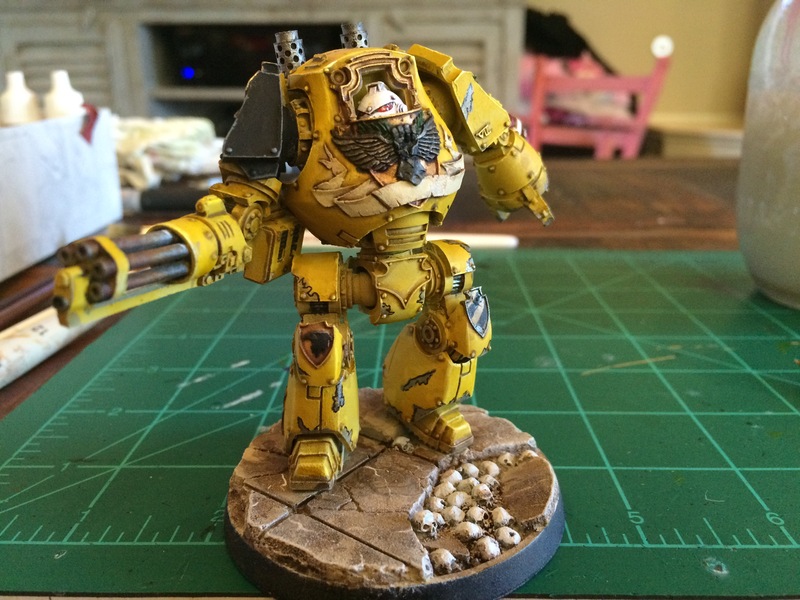 What better way to push myself than to enter and submit Broken Paintbrush’s curated event “Dreadtober” with my chosen model. 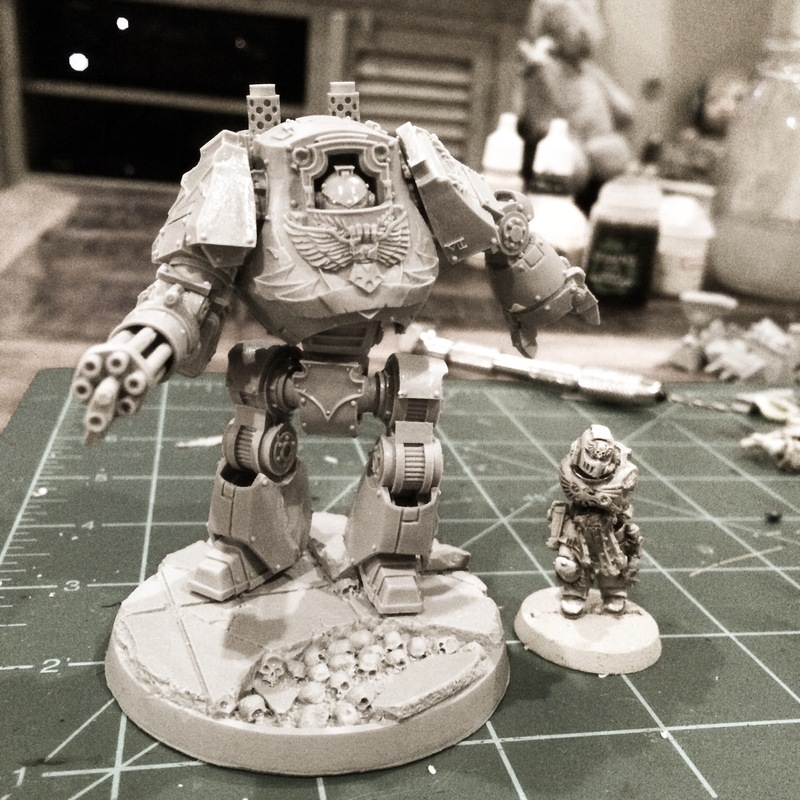 Long story short, it’s a month-long challenge to assemble, model, paint, and completely finish a dreadnought-sized model in the month of October! 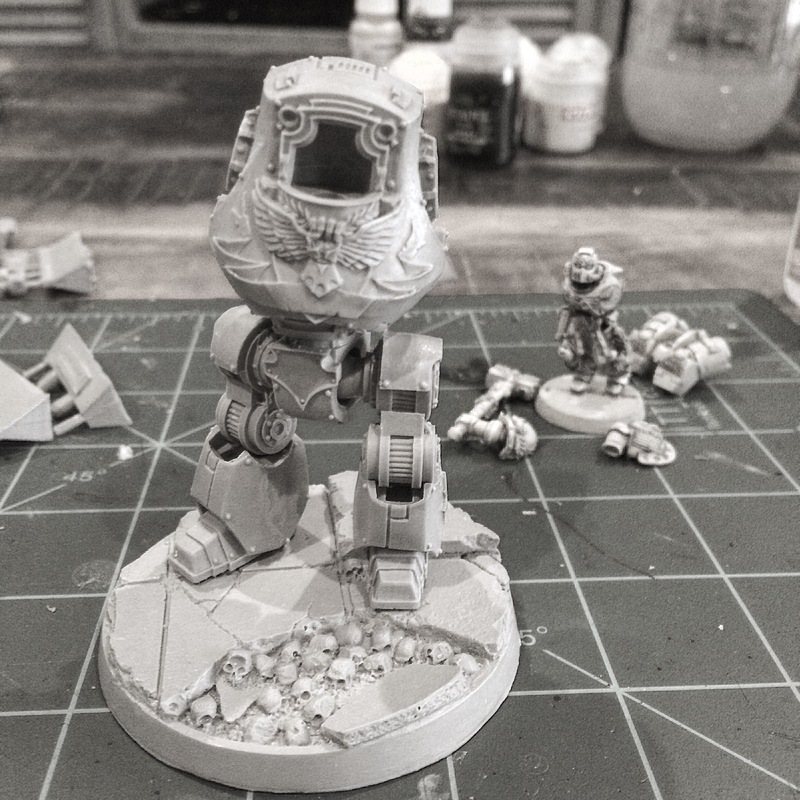 The benefit is mostly one of comradery and community, sharing our works on platforms like Instagram with the hashtag #dreadtober. We can all share ideas, pat each other on the back, and share in constructive criticism on how to improve – it’s a win / win! Plus by the end of it you’ll have a brand new painted model, what’s not to like? So because we’ve only just started officially posting, I’m going to give a very short glimpse into what I’ve been working on, rather than a huge backlog of posts I would be scrambling to catch up with. It’s all very straightforward: I bought the model, scrubbed it (with my fancy electric toothbrush and grease-cutting dish soap! ), trimmed it, assembled it, and painted it. Nothing remarkable aside from the added meticulousness requires of building Forge World models. So without further ado, here are some pics! It’s still a work in progress – I have a couple weeks left! Adding barrels and parts to the Kheres Assault Cannon isn’t exactly relaxing. Mocking up the pose. I wanted him to be pivoting and firing in an arc, “sweeping” across. A size comparison. I didn’t know they were this big! Very pleased. 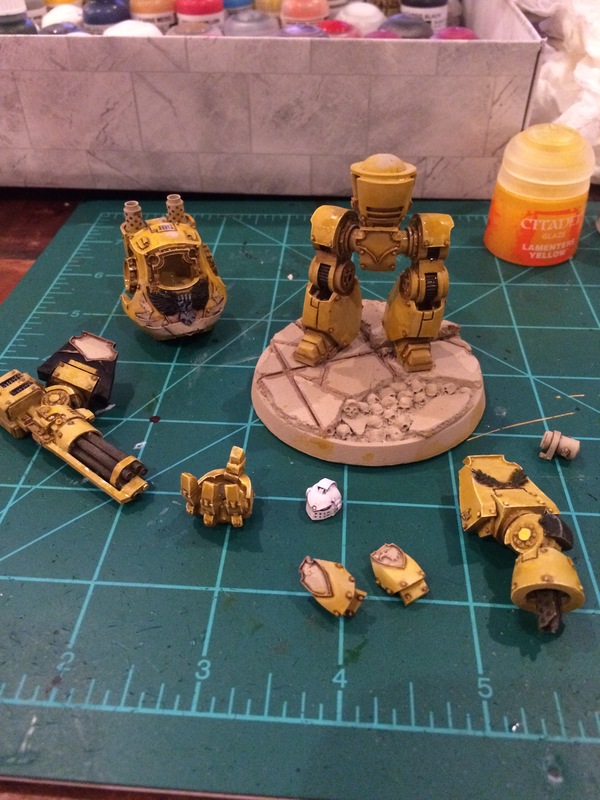 Using my preferred method for painting yellow, it’s a breeze to get the color down. This is also the first time in my life I’m painting in separate pieces. Still blocking in colors. Pleased with the firing pose. Marbled the base, added some additional details and damage. Still a little ways from being finished, though!